in the Pittsburgh neighborhood of Beechview. I think about cashing in my chips, taking my little pot of gold, and settling into a cozy home in that place that’s neither south, west, east, or north in the U.S.--but somewhere over the rainbow. It’s amazing what 100 grand will buy in the ‘Burg. You’ll find decent homes in solid neighborhoods like Observatory Hill, Bellevue, Troy Hill, and Beechview. These homes are no exceptions. The median price of a home in the Pittsburgh region is $130,000, compared with a national average of $235,000. 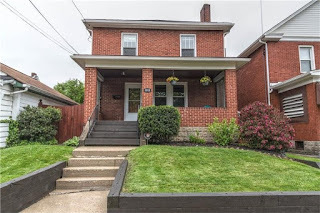 Who knows how long house prices will remain so affordable in Pittsburgh, highly ranked for livability for many years, which is one reason it's attracting millenials. One of my favorite neighborhoods, Brookline, saw the highest increase in home prices last year at 8%. 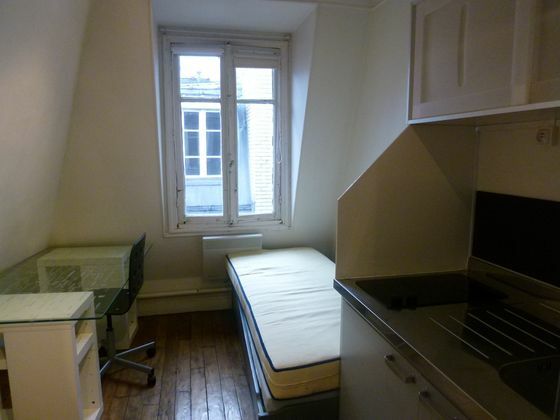 Here's a 7th floor chambre de bonne. Includes kitchenette, shower, but no elevator. Toilet? Unclear. Sometimes that’s down the hall. Sale price: 89,000 euros or about $100,000. What will $100,000 buy in the Paris area? French property consultant Adrian Leeds, whose work has been featured on House Hunters International, says this: “There is NOTHING in Paris for 100K except a chambre de bonne,” or a tiny maid’s room at the top of an apartment building. Iconic brick house in the area...Doesn't it make you want to just buy something and hold on to it? I doubt I will ever live there again, but I still have family there so it is mildly tempting. I live in New England which is somewhere between Pittsburgh and Paris both geographically and financially.